After another long winter in the snow, I’m so excited to have many temple activities this spring to bring us together to celebrate, sing, and be part of a holy community. Each month, no matter the season, we have special Shabbat services which bring us together clapping and learning new songs, where we watch the un-encumbered dance and exude the spirit of Shabbat; where we put the prayer books down and hold hands or embrace our loved ones. 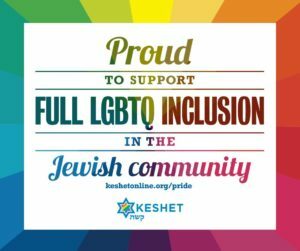 These Rock Shabbat services have quickly become a staple of who we are at Temple Rodeph Torah and an example of what we want to be. We are excited, innovative, creative, filled with passion and joy. We come together to worship, to sing, to celebrate and to have fun. Rock Shabbat highlights a creative and innovative way to pray. The guests we bring help keep it fresh and new, and help us continually challenge our comfort box of what is prayer and how to be as a community in prayer with God. This month, on Sunday, April 19th, we will be hosting one of our Rock Shabbat artists for an amazing Sunday evening concert! Beth Schafer, who was with us in May, 2014, will be returning to our bima-turned-stage to share her beautiful music in a non-worship setting. We will sing some known music (we regularly use her “In This House” and “lev b’lev”) and she will teach us new melodies and new texts. Our annual Rock Shabbat Fundraising Concert gives us an amazing opportunity to hear and sing the music our artists wrote not for prayer but for community. We are unbound by the texts of our siddur and get to explore the creative inspirations for their songwriting. 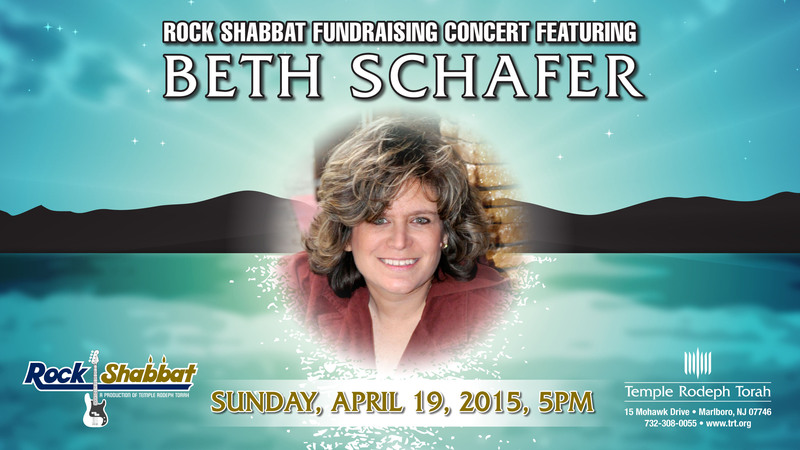 This concert will also support and fund the Rock Shabbat program for the 2015-2016 season. We are already planning programs for Simchat Torah and Hanukkah, and are looking to re-energize the Torah service with a Saturday morning Rock Shabbat. We plan on bringing in new artists along with some returning favorites. We cannot do this without your help. If you love Rock Shabbat, if you love the innovation and creativity Rock Shabbat has inspired in TRT, please come and support the Beth Schafer Concert. Buy tickets, write an ad for the ad book and/or ask your local business or employer to sponsor an ad for us. Come, bring your friends and have fun. We will have the concert at 5:00 p.m., followed by a community-wide meet and greet with Beth. We hope to see you there.